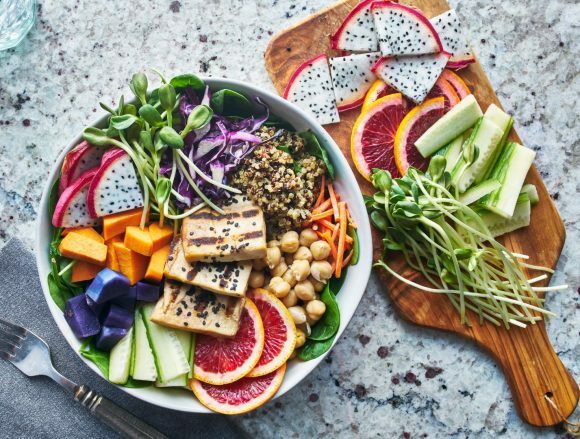 Melbourne’s pulse never truly stops so although Christmas Day is quieter, there’s still things to see, do and eat. Find out how to get the most out of the city with our guide to what’s open on Christmas Day. 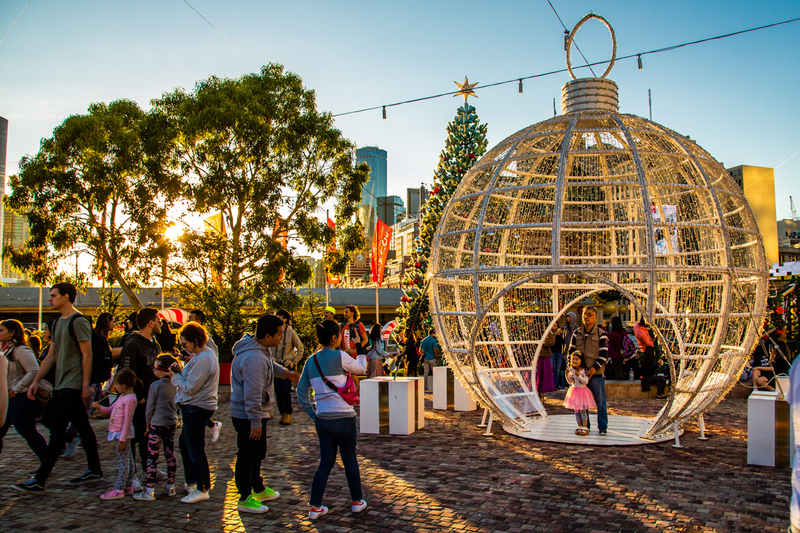 Santa will be taking a well-earned break on Christmas Day, but the Christmas tree and the Christmas Bauble will be lit up at Federation Square on Christmas Night. 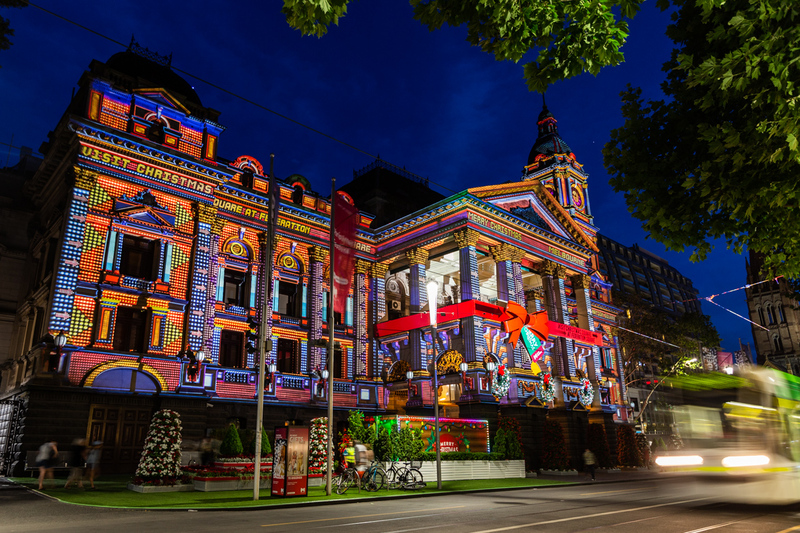 Christmas Day is also your last chance to catch the spectacular Christmas Projections at Melbourne Town Hall, Federation Square and NewQuay in Docklands. 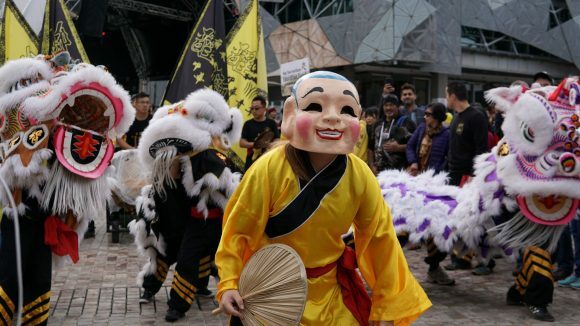 Federation Square is always open, Christmas Day included. If you’re keen to stop for a break and a drink, Transport Hotel will be open until 11pm (excluding Transit Rooftop bar). If you’re desperate for milk, bread, a sandwich or a coffee, some 7-Eleven stores will be open, including at Federation Square, Swanston Street, Elizabeth Street, Collins Street, Flinders Lane, Bourke Street and Lygon Street Carlton. The Health Smart pharmacy within the Victorian Comprehensive Cancer Centre is open. If it’s a Christmas meal you’re after, see our list of restaurants offering special Christmas Day dining. Make sure you contact individual venues for booking availability. 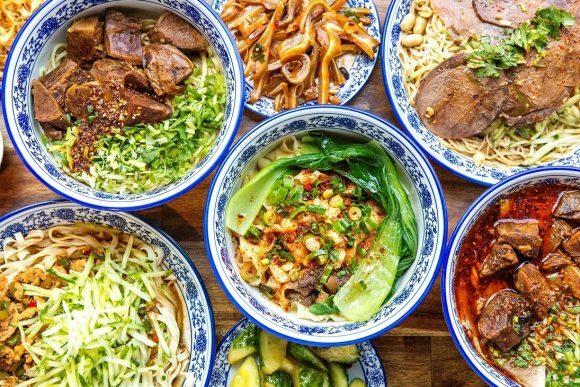 Some restaurants will be open in Chinatown, Crown Entertainment Complex, Docklands, Lygon Street (Carlton) and Southgate. 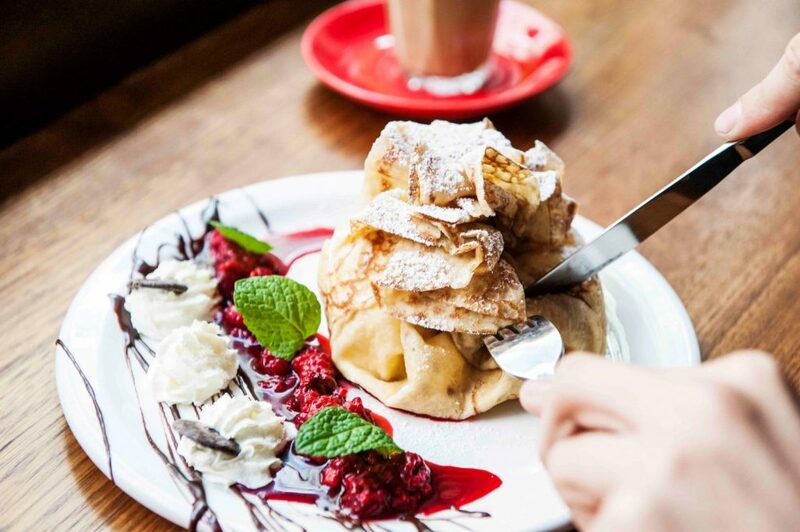 La Petite Creperie kiosks at Swanston St and La Petite Creperie in a Vintage Caravan at QV will be open from 12pm and 11am respectively. The Butchers Diner is open for some carnivore style sustenance from breakfast to dinner and beyond. Auction Rooms in North Melbourne to deliver your coffee fix. 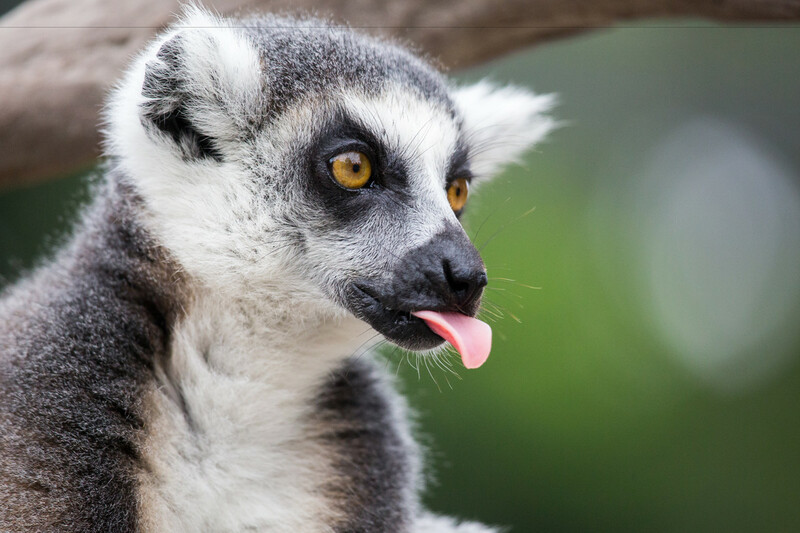 Keep the family entertained at one of these great Melbourne attractions. Catch a Christmas Day flick at a city cinema. See the city from a different perspective by getting out on the water. City River Cruises offer a limited service, head to their website to book online. Bring a picnic and hope for good weather at these lovely parks and gardens. 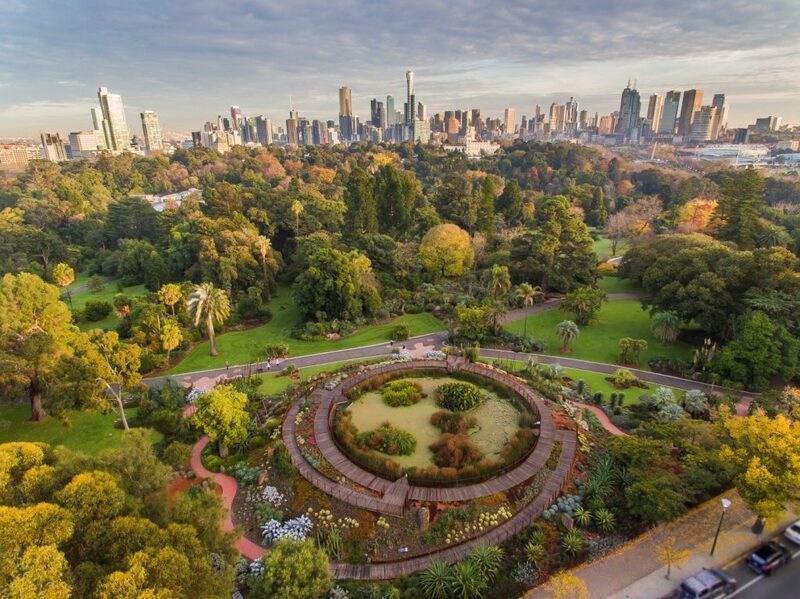 See a full list of Melbourne parks or find twelve gardens close to the CBD. 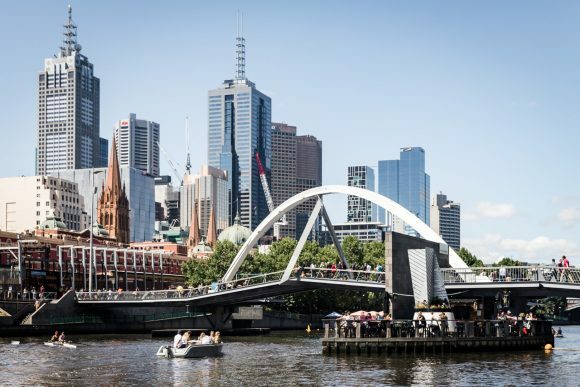 Quietly explore Melbourne’s laneways, waterfront and architectural gems before the Boxing Day sale madness begins. See our list of street art and public art sites. Take advantage of the quieter streets and go on one of many self-guided walks of the city. Find out the different walks you can do. Public transport is free on Christmas day, and operates to a Sunday timetable. V/Line (regional trains) are free and operate to a Sunday timetable. Some services may require bookings. Skybus and Starbus services to Melbourne Airport operate as normal. MC Dental in Docklands will also be open on Christmas Day from 10am – 5pm to treat dental emergencies.